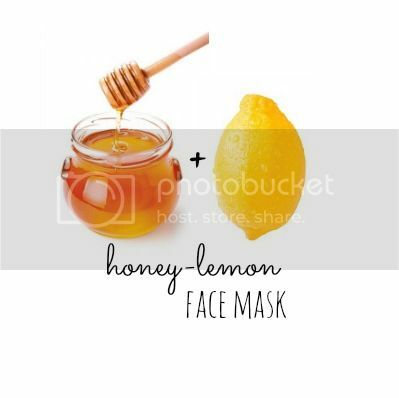 Wifestyles Blog & Photography: Honey-Lemon Face Mask! So I typically don't blog on Sundays but I just had to share this with you guys! This new discovery of mine is AH-mazing! Honey-Lemon Face Masks are phenomenal! They seriously leave your skin feeling SO clean and refreshed! I just squirt some honey into a bowl and then squeeze some lemon juice in and mix it around! It helps with acne, dry skin, oily skin... basically any skin issue! It's a MUST try!! I heard that you can even add in oatmeal too! I have the worst acne on my chin, and I cannot seem to find a remedy that works. I will have to try this! YES! It's a must try! I will definitely have to try this. Lauren, I some how stumbled across your blog. Not sure how but I read your story thru wifeessionals and I must say you glued me in just by your heart felt story. left you a comment there. hope you read it. :D thoughts and prayers are being sent out. Thank you so much for your sweet words! :) I really appreciate the love and support! I have a skin condition that makes my skin EXTRA dry and it breaks out easy! This does the trick for me! Hope it helps you! right from the hive. Clean Natural honey purely likes superior and is particularly livlier. This will be better if it will include some oatmeal and it I think it will have a better result but then honey and lemon is still perfect combination. I think any typical kind of honey will do right?